As I've mentioned in my Meal Plan posts, I am a big fan of Summer Grilling! Using the grill to create quick, fresh meals for your family, leaves a much smaller mess to clean up, and also creates less heat in your house. To me, that's definitely a win-win. But it's easy to fall into a Burgers and Dogs or Grilled Chicken rut. Here's an idea to help get your quick and fresh meal ideas flowing. Kabobs. 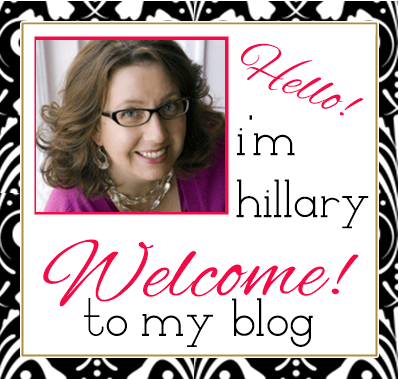 To make my Kabobs, I chose fresh meat and produce from a recent shop at Walmart (#GOWalmart) with #CollectiveBias. 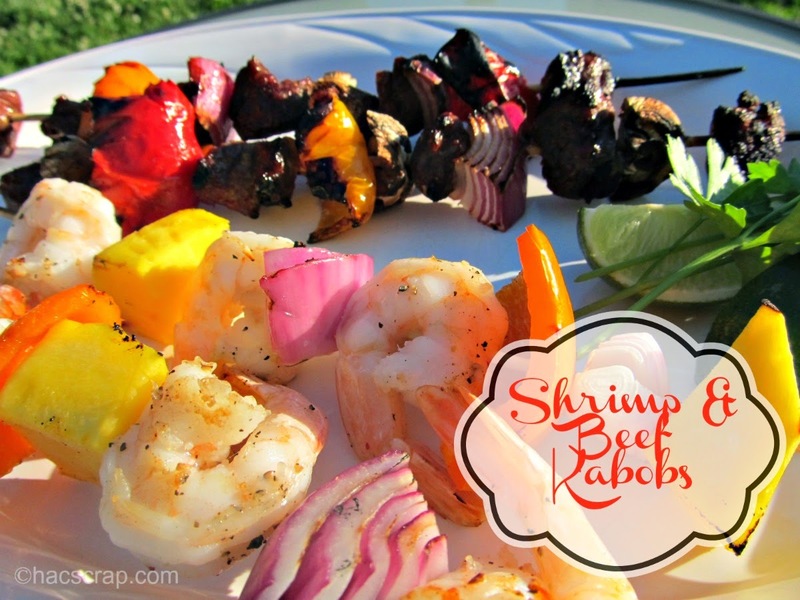 Thinking about what my family likes to eat, I decided to create some yummy Shrimp and Beef Kabobs, adding some fresh produce to round out our meal. For my beef, I chose pre-cut beef cubes. You could also select a cut of beef and cut it into cubes yourself. 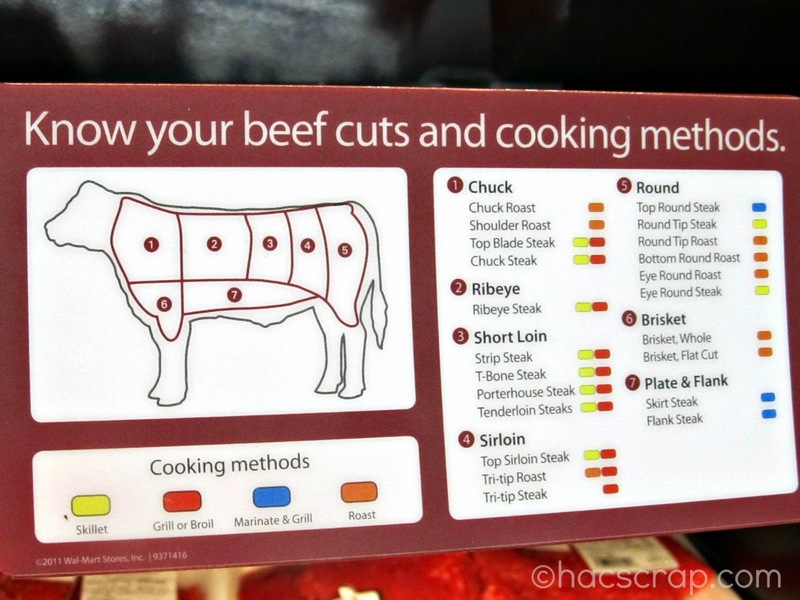 In the meat section at Walmart, there was a handy chart that you could use to help you pick exactly the cut you need. I wasn't sure whether to get cooked or raw frozen shrimp, I typically get cooked, so I asked a sales associate in the seafood department. She was so sweet and took the time to ask me what I was planning to make and how I was planning to cook it, and then agreed, that cooked was my best choice. (sometimes it's nice to get a second opinion - isn't it?) So I grabbed a bag of their large cooked frozen shrimp. Next it was onto produce for vegetables and fruit to add to my Kabobs. Walmart had an amazing selection of Mangoes, so I decided to try adding them to my Shrimp Kabobs. For my Beef Kabobs, I wanted to use a mushroom and pepper combination. Marinate the beef in your favorite marinade or simply salt and pepper to taste. Defrost your shrimp, if necessary. Tip: Soak your bamboo skewers in water to prevent sticking and burning. 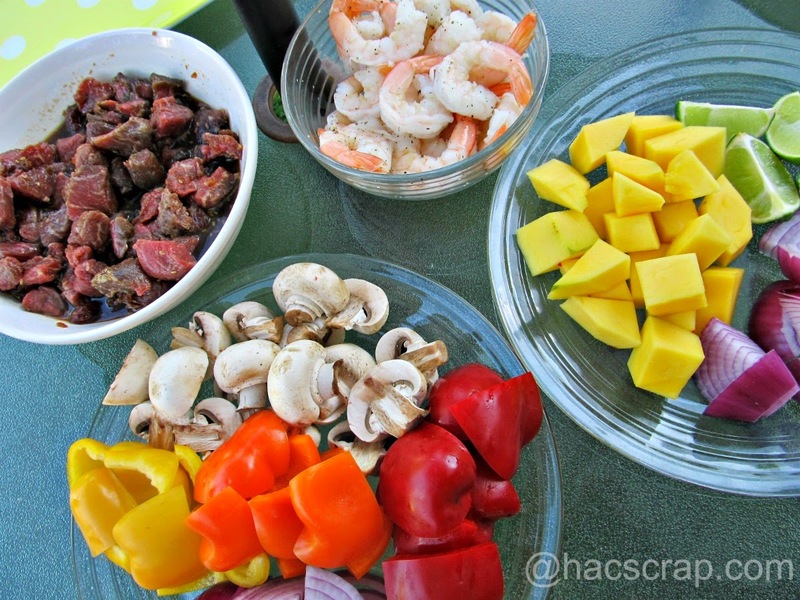 Slice up your fruit and vegetables into chunks, approximately the same size as your beef cubes and shrimp. 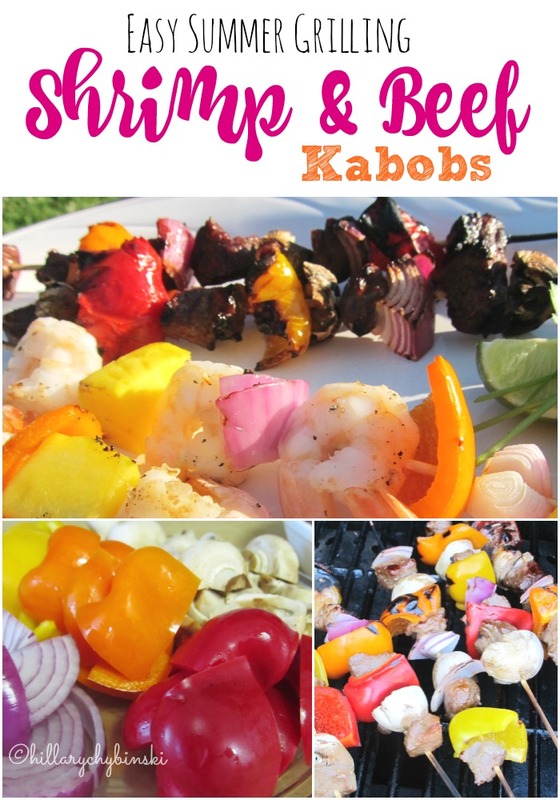 Build your Beef Kabobs first (these take longer to cook) - alternate Beef with Pepper, Mushrooms, and Red Onion. 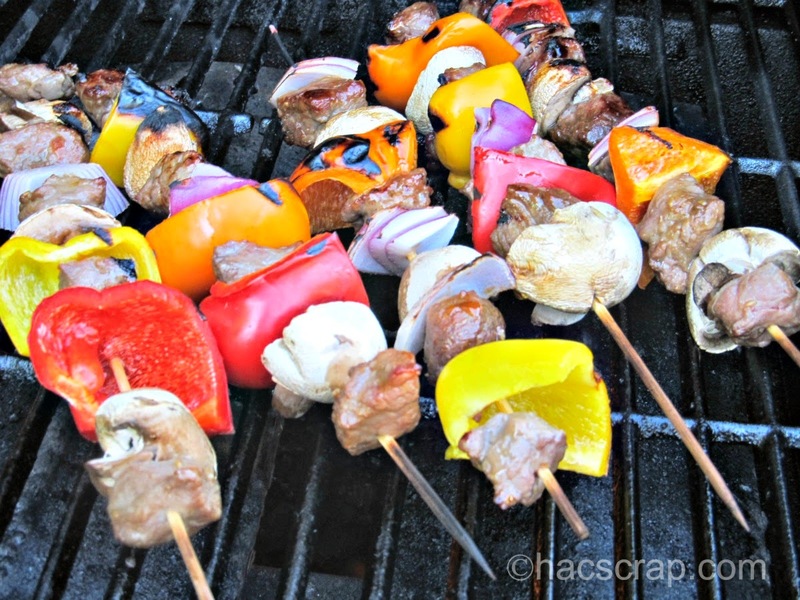 Place Kabobs on a grill rack coated with cooking spray. Grill Beef Kabobs until the meat is done, approximately 15 minutes. 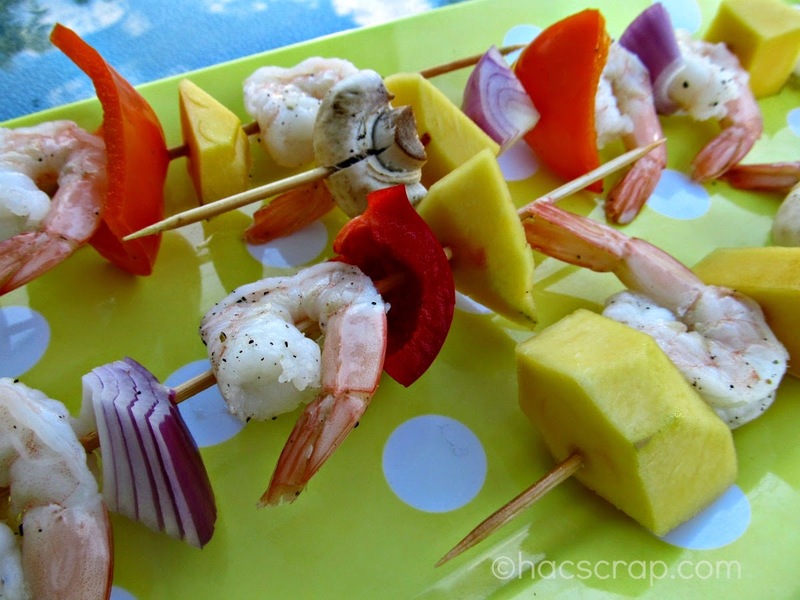 Build your Shrimp Kabobs - alternating the Shrimp with Mango and Red Onion. I also used some peppers and mushrooms on these. Grill Shrimp Kabobs approximately 2 minutes on each side or until the shrimp is done. Squeeze lime juice on the Shrimp Kabobs before serving. 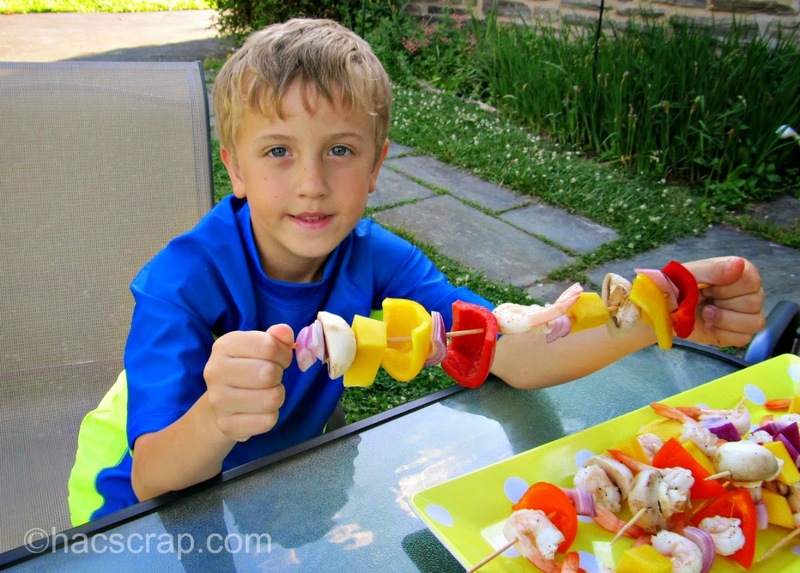 I got my kids into the mix, building their own Kabob Creations too. I don't know about your kids, but if mine help with the cooking, they are more likely to try new things. Building the Kabobs was pretty easy, just watch their fingers with the skewers. You can pair these Kabobs with a green or Caesar salad, or your favorite Summer side dish (like corn on the cob) and enjoy. This recipe fed 2 adults, 2 teenagers and a 7 year old. What will you be grilling this summer? 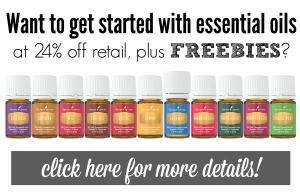 This was a sponsored post however, as always, all opinions are my very own. Those look so good. I might make kabobs later this week. Thanks for the inspiration.